New PC on it's way! Can't wait to put this beast together! It did not ship yet, I'm hoping it ships tomorrow! 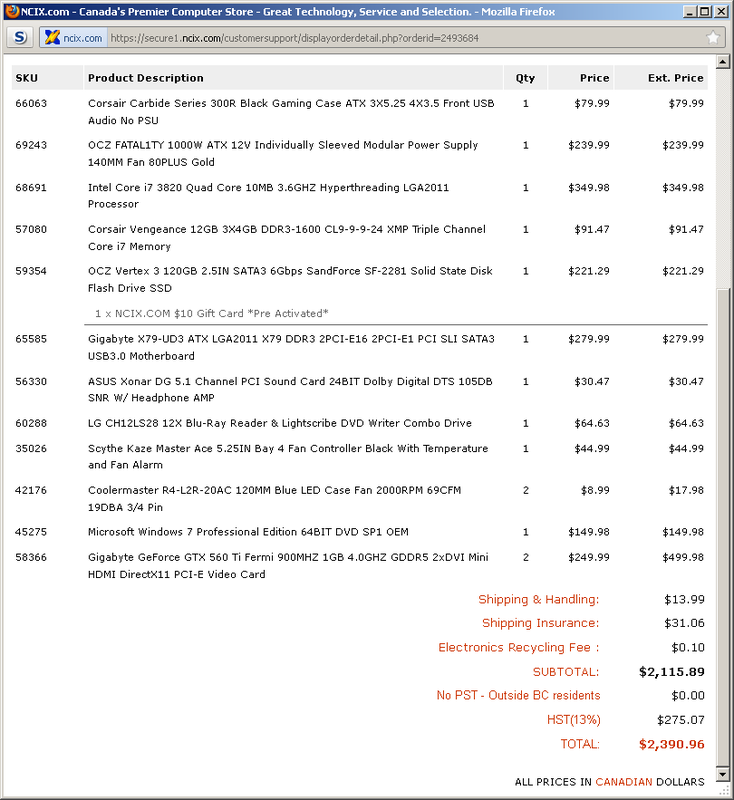 If I can get it by Friday I'll be happy so I can put it together over the weekend. Hopefully there wont be any DOA parts, I tend to have bad luck with that.